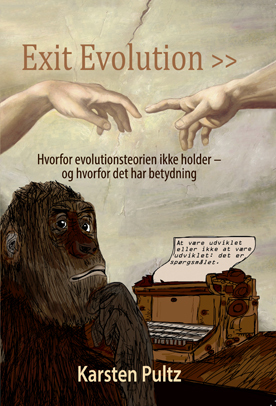 Karsten Pultz,, our honorary Danish correspondent, reviews a recent book by Ola Hössjer, Becoming a Christian: Combining Prior Belief, Evidence, and Will. The foreword is by J. P. Moreland. Normally I would never buy a book written by a mathematician for the reason that I’m not a big mathhead myself and find it exhausting to try to grasp even the most basic concepts of mathematics. 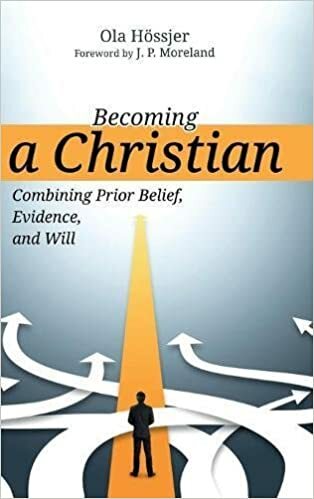 Recently though I made an exception and bought Becoming a Christian: Combining Prior Belief, Evidence, and Will by Swedish professor of mathematics Ola Hössjer and was glad I took the risk. I had bumped into Hössjer, in a literary way, as one of the authors of the important work Theistic Evolution: A Scientific, Philosophical, and Theological Critique, a “must-have” for ID nerds. There, Hössjer co-authors a chapter on population genetics (arguing for an original couple) which involves statistical mathematics, his field of expertise. 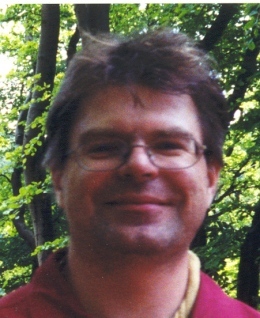 Becoming a Christian: Combining Prior Belief, Evidence, and Will reveals that Hössjer is not only an excellent scientist who has done thorough research into many fields beyond his profession, but also a really good writer—and not at all boring, as I would have expected a mathematician to be. Hössjer is one of the few important ID proponents from my side of the Pond (ID is still in its infancy stage in Europe). Because this book is written in English, it gives the English-speaking part of the world an opportunity to get acquainted with an ID proponent who, for once, is European. The book takes the overapp approach of “Pascal’s wager.” The great scientist and philosopher Blaise Pascal viewed the worldview each one of us holds as a gamble, a gamble we are forced to participate in simply because we have been born into this world. Hössjer analyzes, from a completely cool and rational view, the pros and cons of whether to become a Christian. He uses purely rational arguments of the sort that would count if you were going to bet on a horse. For this reason, the arguments from intelligent design, both those of cosmological fine-tuning and design in biology, plays an important role in Hössjer’s book. We cannot know if Christianity is true, and if you haven’t met Jesus face to face or experienced some sort of life-changing epiphany, you will have to base your choice of worldview on the evidence to which you have access. You’ll have to take a critical look at the evidence for and against before you decide which worldview to put your money on. According to Pascal’s wager, it’s all about taking a cool decision and the coolest of all is, of course, to base your decision on mathematics. Very wisely, Hössjer has placed the pure math at the end of the book. If you happen to love math you’ll probably be very excited about the seven appendices. The book is a great read for all interested in ID, Christianity, and the connection between the two. It is also inspiring if you, like me, believe that the decision to become a Christian should be taken on rational grounds, should be based on evidence, and should feature the subtle awareness that it is a sort of bet. 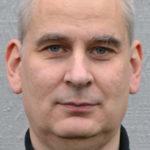 Karsten Pultz is the author of Exit Evolution. Ya might wanna read “The Jesus Mysteries” by Freke & Gandy. There is a VERY old story of a woman who is impregnated by a god and gives birth in stable attended by shepherds, and yet remains a Virgin. When this story was told amongst the Egyptians, the name given to the Virgin was Isis and her divine son’s name was Horus. But in each retelling of the Mystery (the important part is the Mystery, not the incidental names) the names of the Virgin and the Son were changed to match some local deities. Statues of The Virgin Mary so CLOSELY match statues of Isis that the conclusion of archeologists is that the guys hawking trinkets to pilgrims simply sold their left over Isis statues as “Mary” when the customer market changed. (MANY “pagan” shrines were taken over by Christians during the transition.) And of course ALL of the titles of Mary (“Queen of Heaven”, etc.) were titles Isis held. As was the blue cloak, crown of stars, etc., etc. For the more erudite folks out there, you might wanna read “Christianity & Paganism in the Fourth to Eighth Centuries” by Ramsay MacMullen. The spread of Christianity was an economic/political struggle centered on Rome (and Constantinople). And of course all of the original “Jewish” texts were written in Greek. might I also suggest that you need to read a little more deeply in apologetics than just the ‘tabloid’ books against Christianity that you seem to be prone to accepting as undeniably true?,,, Might I also suggest starting with Dr. Timothy McGrew? You must be a Darwinist because you’re ready to believe anything that confirms your worldview. This is one of the worst books I have ever read. There is a legitimate wing of Gospel scholarship that looks at the Greco-Roman influence on Christianity, especially the Mystery Religions. What this book does is out and out deny the Jewish roots of Christianity and claim Jesus as a semi-mythical saviour hero in the same vain as Orpheus or Osiris. Despite the 90 pages of notes and the 7 page bibliography, this book is poorly thought out but I think the authors argue their twisted view well. They remind me of the deluded 18th and 19th century authors that tried to prove the pagan roots of Roman Catholicism. It relies on some superficial similarities between Christianity and Paganism. There are lots of things like pointing out this pagan philosopher worked miracles like raising the dead or calming winds (like Empedocles or Apollonius of Tyana) and so did Jesus. Gasp here! Of course, the general commonalities of Mediterranean culture might be an explanation but Freke and Gandy will have none of this. For them there is a direct connection. For me, according this logic Judaism and Greek paganism must be connected because the Jews had 12 tribes and the Greeks had 12 Olympian gods. Gasp here!! The authors obviously have an axe to grind. They are forever going on about those bad ‘Literalist’ Christians and how they surpressed the good, old mystery religion Christians.They conveniently gloss over the disagreements between Gnostic groups and some of the more weird (read here totally crazy) beliefs of these groups. The Nag Hammadi Library and other finds gives scholars an inside view of the Gnostics. One thing I haven’t figured out is where these ‘Literalist’ Christians originated. Why were these people convinced of the truth of the Gospels? This book acknowledges the existence of these Literalist Christians from the earliest days like Justin, Irenaeus and Tertullian but doesn’t explore its origin. This is ultimately a forgettable book. It dresses itself up as some explosive expose but it isn’t. As to the nonsense you subscribe to, look here. Keep your nonsense to yourself. @VM do you know what the primary sources are? Your description only slightly matches the wikipedia account. That being said, the mythological parallels are secondary. The historical record is most important, did the events actually happen? From what I understand, the secular NT scholars are pretty unanimous that Jesus really existed and was crucified. Of course, they deny the resurrection and miracle parts, but otherwise seem to think the gospels are good historical records. If the gospels are historically accurate, and there are myths that describe very similar events, another possibility is the myths are prophecies of Jesus. A famous example of a supposed pagan prophecy is the Cumaean Sybil and Virgil’s reference in the Aeneid.